Property buying in Paphos Cyprus Buying property in Paphos Polis Cyprus is a fantastic idea. In Cyprus, you have access to a market with plenty of properties for sale in all sectors and let’s not forget about the great weather in Cyprus. Whether you are looking for an apartment, a villa or a townhouse in Cyprus, you will find many possibilities. At Maispa Developers. We aim to have available properties for all your requirements. We have been established since 1988 and have built homes for many happy friends(Customers). If you are just researching a bit and are considering relocating to Cyprus, you should read our comprehensive guide on moving to Cyprus. A few of the pitfalls when buying property in Paphos Polis Cyprus. There are a few things that you should definitely be careful about when you are looking to buy property. So you will not end up with an investment in a home that turns out to be worth nothing to you. 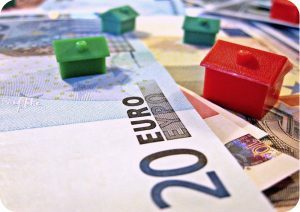 Worst case you risk to pay but not get your property or even lawsuits and an economic risk in your home country. Check out the developer use a reputable developer like Maispa developers who have been around since 1998 and have built 100’s of properties for happy customers. Which area should I look in? what we do is take you around and show you the areas and where we develop there is no cost or obligation for this trip. And we never use pressure to close a sale, we understand that this is a major decision in life so we make all the effort to inform and guide you through this. The question for you and only you are able to answer and depends on your needs and budget. Can I afford to buy in Cyprus? we will advise where we think you might be going a little to high for your price range. In the next few sections, we will go through some of the more popular choices amongst people that are looking for properties for sale in Cyprus and suggest which districts you should look at or perhaps not look at. If you are looking for sea view you automatically have to deselect inland projects. Instead, you should look towards Paphos and Polis to find apartments, houses or villas with sea view that are available in your price range for sale. If you are looking for houses for sale that is close to an airport, you should definitely look at Paphos, for the international airport. Paphos airport has many connections to airports in England, Russia and many more. Property for sale in Cyprus if you want to see as few tourists as possible, you should look towards Geroskipou, Tala, Kathikas etc. and perhaps the more rural areas of the district. You will encounter tourists but not on the same level as in the other districts, although you will be able to find properties for sale in the other districts that are located away from the tourist areas. As an example, we have villas and apartments, which are less than 10 minutes drive from the centre of Paphos, where you will never see any tourists in the area. However, at the end of the day, Buying property in Paphos Polis Cyprus there will be more to selecting the right type of home for you than just location. Although you will definitely have some ideas beforehand, it is bound to change when you see the houses with your own eyes instead of judging them based on pictures, which never tells the full story. We at Maispa Developers wish you the best of luck in your search to buy property for sale in Cyprus. And offer to guide you through the process. Go to our website maispa.com and fill out a contact form and we will get back to you A.S.A.P.